Few things remind us of the fun and joy of childhood like a sweet pair of shoes. This darling collection from China Doll Shoes makes us particularly nostalgic thanks to classic silhouettes like Mary-Janes and ankle strap sandals. 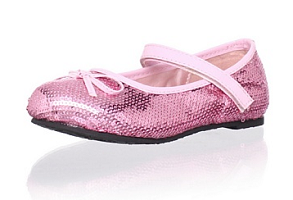 The only difference between these shoes and the ones we cherished growing up? The fashion-forward colors. And of course the shimmering sequins.